Discover the wonders of the night. 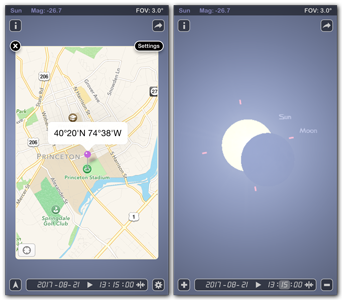 Launch Star Rover and point your phone at the night sky, you’ll see the stars, moon, planets, constellations in their proper place from your current location. 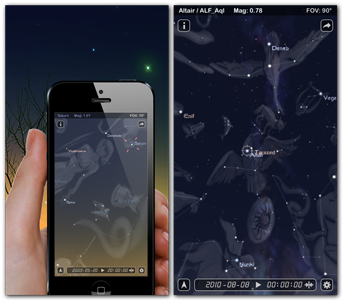 As you move your iPhone, the star map updates in real time. Allow Star Rover to access your location or set your location manually in Settings (Tap button). Tap button to enable point-and-view. Compass support required (How to calibrate the compass). All 88 constellations with beautiful artworks. Planets and their moons with stunning graphics. Real images of nebulae (Messier catalogue). 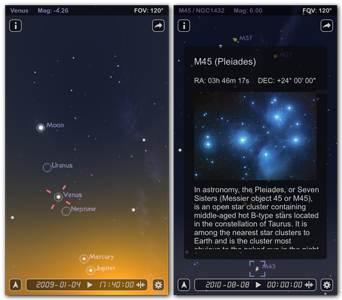 Sky objects information (Tap button). Realistic atmosphere, sunrise and sunset. Star Rover is very easy to use. 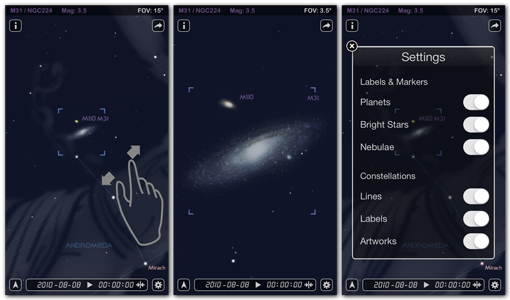 You can simply change the sky view in settings (Tap button) and use pinch-to-zoom gesture for everything you want to know in the night sky. Sky objects labels and markers. Constellations lines, labels and artworks. Sky view underneath the horizon. Time setting and animation (Tap Date & Time panel). Sky view sharing (Tap button).